Only a person with an ego large enough to call himself “King James” could pretend to be an authority on a multitude of issues. LeBron James’ issue this week is race relations. The Cleveland Cavaliers superstar took to the court in Washington D.C. Sunday evening to take on the hosting Washington Wizards. In doing so, James wore his trademark shoes, but on this night he had a special message for — well, I’m not quite sure. The entire country? In James’ postgame interview, he referenced President Donald Trump without actually saying his name. One question — Who’s dictating that? Are there new regulations all of a sudden that “dictate” beauty and power? James must really feel powerless with his 2017-2018 NBA season salary of $33,285,709, and that’s not even taking his endorsement deals into account. It’s very easy for someone on a pedestal to speak — like what they’re saying is important — about issues that don’t affect them. James has been a millionaire since he graduated high school. Obviously, I've been ... very outspoken and well-spoken about the situation that's going on at the helm here...Equality is all about understanding our rights, understanding what we stand for and how powerful we are as men and as women, black or white or Hispanic. It doesn't matter your race. How noble of you, LeBron. While James is correct that race doesn’t matter, it’s funny how he constantly brings it up. 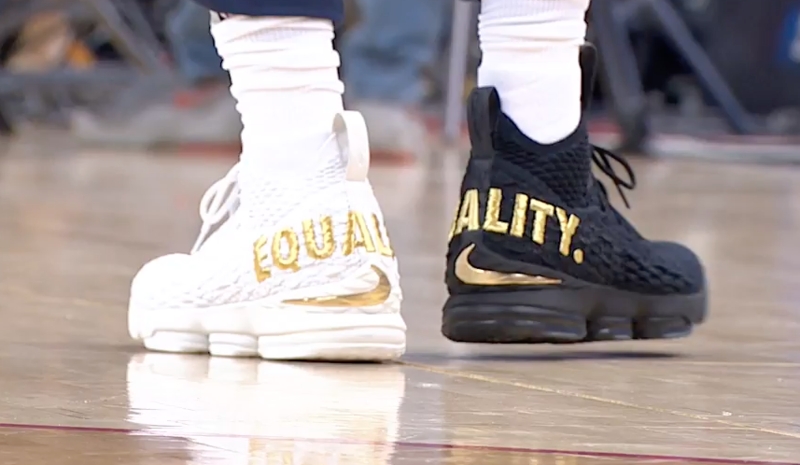 What’s even funnier is that James’ social justice statement fell to the wayside after he played poorly in the first half of the Cavs game against the Wizards. James posted a triple-double (at least 10 points, 10 rebounds and 10 assists in the same game) — which is not an easy thing to do in professional basketball — so he couldn’t have played too bad. I guess social justice will have to wait for when James is on his game.